Special offer for Freecharge users. 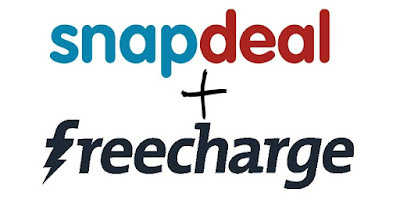 they offers 50 Rs Freecharge Cashback On Minimum Purchase Of Rs 100 On Snapdeal. so this is the best deal to buy any product worth Rs 100. So grab this deal. 1. Firstly open snapdeal app from your phone. 2. purchase product you need for Rs 100 or More. 1. Valid for existing freecharge customer only. 2. Valid on snapdeal App. 3. Valid only once per email id - phone number. 4. Valid only on order value of Rs 100 or more. 5. Offer is valid till 31st January 2016.